A young woman, the owner of a very popular and successful restaurant, a successful property owner and a very active and respected member of the community, has a major conversion in November 1990 in Medjugorje, Yugoslavia. As she heads up Mt. Podbrdo, also know as "Apparition Hill", she hears these words being spoken by a priest leading another group of pilgrims: "God loves you so much, that if you were the only person to have ever lived, He still would have suffered and died just for you!" These words take firm root in her heart as she hears the Lord keep repeating to her "just for you, just for you, just for you". While in Medjugorje, the young woman visits the home of Maria Pavlovic, one of the visionaries. The hour is 3:00 in the afternoon, and Maria leads the group in her house in a devotional prayer — it is the Chaplet of Divine Mercy. This prayer touches Amy and God plants the seed of love for this devotion to His Divine Mercy in the heart of His daughter. She returns, on fire for the Lord and soon her restaurant is not only known for great food and great service, but also as a place where people who can not afford a meal can still eat for free, and where food is distributed from the back of the restaurant to all those in need. Soon, Amy’s nice suburban home is a place where prostitutes, the mentally ill and the addicted can find refuge and shelter. 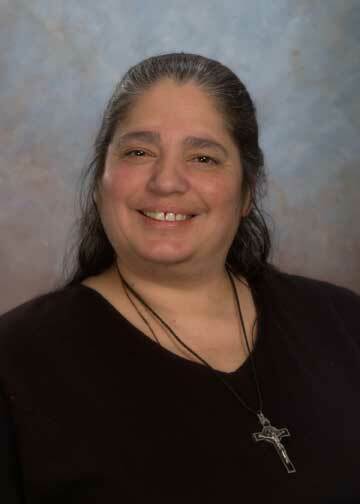 Amy begins to pray the Divine Mercy Chaplet and her love for this devotion continues to grow. A young man, a successful cancer research scientist at Roswell Park Memorial Cancer Institute, begins his ministry for the Lord though music. 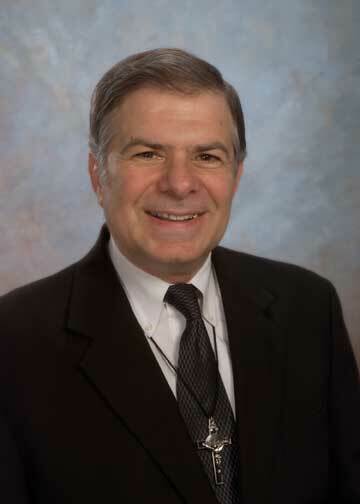 In 1965 he starts playing for Mass at Canisius College where he is a student. He also begins playing at St. Anne’s parish on Sundays and eventually starts playing for his home parish of St. Margaret’s. He becomes very involved with the Charismatic renewal and grows deeper in His love for the Lord. God has also blessed this man with a special love for His poor and broken. He soon is running a prayer group that welcomes anyone who God chooses to send. He spends hours talking to and ministering to all those that God puts in his path. He opens his house to people who have no where else to go. He gives of his own finances to help those who are struggling in various ways. This man and this woman live and work within blocks of each other in Buffalo, NY, but have never met. In 1992, Bishop Edward M. Grosz asks Amy to accompany him on a pilgrimage to Fatima, Portugal. It is on this pilgrimage that the man, Norm Paolini, finally meets the woman, Amy Betros. Upon arriving in Fatima, Amy learns that the airlines had lost her luggage. Norm, who has been to Fatima several times, offers to help Amy find some things to get her by until her luggage is located. Amy’s response to Norm was: "I have the Lord and the Blessed Mother, what else do you need?" This touches Norm’s heart and he immediately knows he has met someone with a love for our Lord much like his own and he is drawn to the faith and trust in God that this statement shows. On this pilgrimage, the team that would bring about St. Luke’s is united, formed and molded in the merciful love of God. Their lives, and the lives of many others, would never be the same. 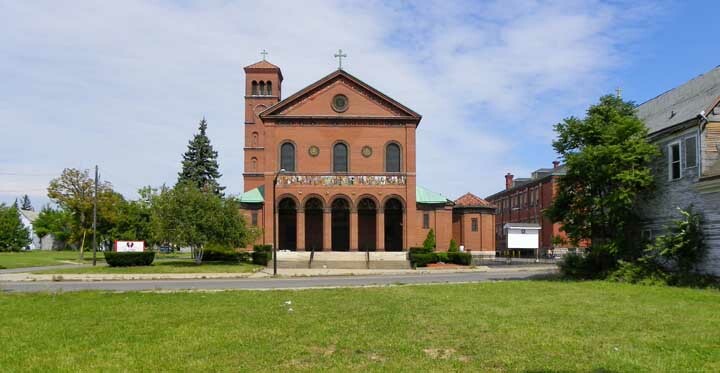 Upon their return to Buffalo, the friendship between the two that began in Fatima continues to deepen and grow. They soon come to realize what they both already knew in their hearts: that God has blessed them both with a great love for His poor, for His wounded, for His broken. They begin to minister together and start to provide food, clothing, money, a shoulder to lean on, an attentive ear to listen, to all those who come to them. As their ministry develops and the number of people they serve begins to grow, God begins to reveal to them His desire that they devote all of their time to the service of His poor and broken. They are not yet sure how or where they will do this, but they both know that wherever God calls them, it will be through living the works of mercy, both spiritual and corporal, that they will serve God. 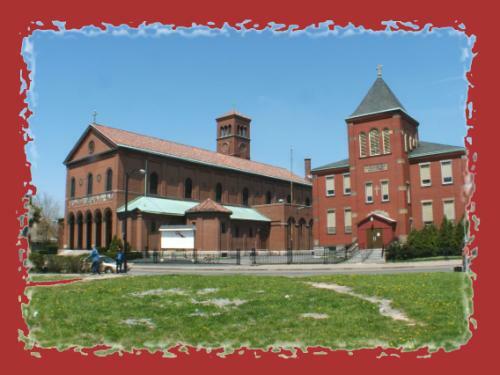 When St. Luke’s, a proud and beautiful inner city parish closed in 1993, it was a sad day for its parishioners, both past and present. It was also yet another blow to a neighborhood which needed desperately the light of Christ to shine in it. So poor had this neighborhood become: high crime rate, violence, drug trafficking, prostitution, great poverty; it could barely sustain yet another attack to what little hope that was left there. But God knew that St. Luke’s had to pass through this "death" so it could be resurrected to new life as St. Luke’s Mission of Mercy. Amy and Norm were directed to St. Luke’s by Bishop Edward M. Grosz, the same man who asked Amy to go to Fatima with him on the trip where she met Norm. Bishop Grosz, who had become good friends of Amy and Norm was well aware of what God was doing in their lives and of their desire to spread God’s love and mercy by serving the poor. He let the pair know that St. Luke’s had closed, and was now up for sale by the Diocese. He recommended that they go look at it ands strongly pray about purchasing it. It was the perfect spot to begin their ministry to God’s most poor and broken. You had to just step outside the door to find someone in great need. And when Amy and Norm walked into the Church and saw the beautiful, inlaid tile mosaic of the Divine Mercy Image, they knew they were home. God was clearly letting them know that this was the place for them to start spreading, in word and deed, the awesome love and healing that is found in His Divine Mercy. 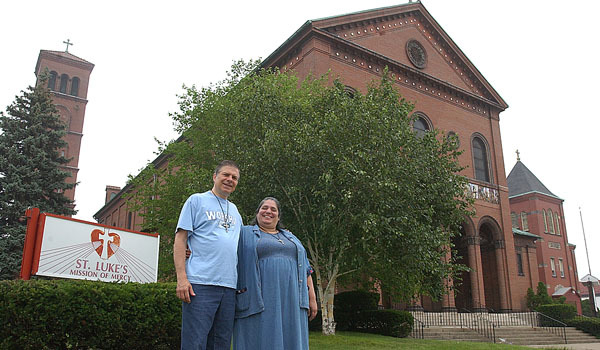 Amy sold her restaurant and Norm took an early retirement and together, the two, along with a very generous benefactor, raised enough money to purchase the entire St. Luke’s complex, including the Church, the convent, the rectory and the school. And on August 1, 1994 St. Luke’s Mission of Mercy was born. The family of Norm Paolini and the whole team at St. Luke’s Mission of Mercy thank all of you who have visited, prayed and sent messages of comfort at the passing of Uncle Norm. If you were unable to be here, please watch some of the news reports honoring Norm’s life of love for God’s people. The mass was an incredible celebration of Norm’s life and filled with the confidence of Norm’s joy in God’s kingdom. Auxiliary Bishop Edward Grosz was the main celebrant and the homilist, and good friend to Norm, Fr. Dennis Fronckowiak asked all to go forward and try to emulate one of the three things that were central to Norm’s life. So please embrace deepening one of these three integral parts of his life which were: faith, prayer and service. God is good and Norm is singing with the saints.